Last week, a dance video made waves on the local social media. 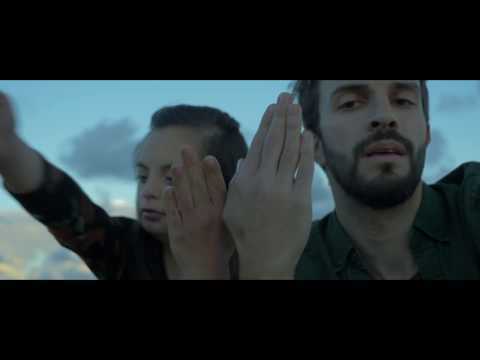 The video entitled ‘Meet Me’ presented a contemporary dance between MARIA GAUCI, an inspirational dancer with Down’s syndrome and Kostas Papamatthaiakis, on the cliffs of Ghar Hassan overlooking the Mediterranean Sea. The dance is seamless and beautiful, as Maria and Kostas move and explore the space between them, dancing to ‘A Song about Less’ by Aleandro Spiteri Monsigneur, the pianist of Red Electrick. Giulia Magri met Maria and her mother to discuss Maria’s passion for dance, her inspirations for the video and her plans for the future. When asked whether she has a favourite dance style, she told me that definitely would be Jazz. In 2014, Maria joined Opening Doors Association, a non-governmental voluntary arts organisation that provides opportunities for adults with diverse intellectual needs. Not only was this a great opportunity for Maria to meet more people who love performing, but also brought about opportunities to travel. “I went to places like Poland and Leeds, and I hope to travel much more in the future.” Maria told me that in 2015 she travelled to Poland with Opening Doors for the ARTS IS Interdisciplinary art project and focused on theatre and drama. She also took part in Expressions workshops in Leeds which present exciting new work of talented disabled people based in the UK and other countries. Expressions also celebrate a space to be creative and raise awareness and opportunities. Her mother explained how she also did a dance number on the television show Arani Issa and how she takes every production and dance number very seriously, all part of her passion for performance. Maria has also taken part in numerous dance workshops, such a week dance workshop in Gozo with Living Dance (a dance company based in Gozo). Maria’s weekly schedule is extremely busy, every day she has a lesson here and there for different dance classes, such as ballet or jazz. Apart from this, she is also a leader of the Malta Girl Guides in Rabat, which she has been part of since she was seven years old and that she is also a member of the Malta Down’s syndrome Association. Maria told me that now she has started working at Roseville in Attard, this gives her a sense of independence. Maria told me that she was awarded funding by Artivisti 2018, which is a funding programme for emerging artists under the age of 25 to expand their creative potentials and opportunities. She was nominated by her mentor Rachel Calleja, who is part of the organisation Opening Doors. Maria met Kostas Papamatthaiakis for the first time in the dance studio and they clicked straight away. During just six rehearsal sessions, Maria and Kostas discussed and choreographed the dance together before the actual filming production. When I asked Maria if she has any dreams for the future she told me that she is “extremely happy with the production and how the video turned out. I hope that I will have another opportunity to collaborate with other dancers in the future.” She also hopes that one day she will be part of a musical performance which is why she has started drama performance lessons is well. Speaking to Maria showed me that she is has a strong character, who has a positive outlook on life and determined to make her dreams come true. Her video reflects just this; she gives a clear message through her performance which not only touches viewers, but also influences them to continue working hard to fulfil their dreams. Hopefully, this will not be the last of Maria’s or Opening Doors productions and we will see more of her in the future.